You guys! I found one of my new favorite things. 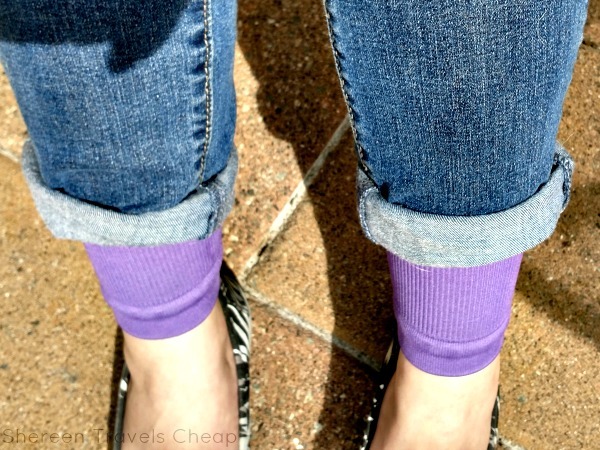 Compression leg sleeves give me the extra circulation I need, while allowing me to wear sandals and other slip on shoes that look weird if you wear full socks. 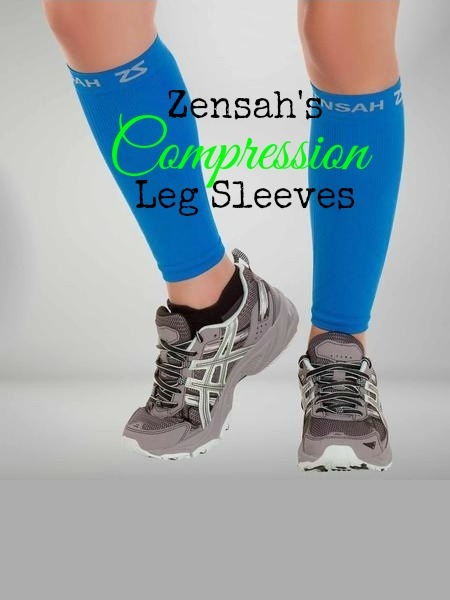 Zensah has a full line of different compression sleeves for runners and other athletes. Anyone who knows me knows I'm like the opposite of an athlete. I enjoy sitting in a movie theater, eating food at restaurants and checking out museums. The most exercise I get is walking around downtown and climbing steps to monuments. All that aside, I do have bad circulation and I'm also cold a lot of the time. 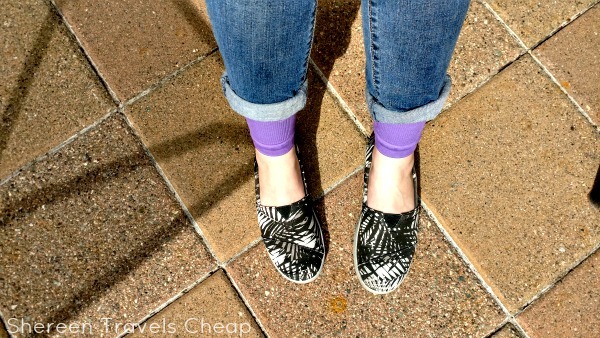 I picked up a pair of leg sleeves from Zensah at the Travel Goods Show earlier this month and was glad to have them when I was walking around all day. I went back to my room after so much exercise and slipped them on for some pretty immediate relief. As someone who frequently gets swollen legs, ankles, and feet from standing for long periods of time, walking miles, or from my feet dangling on an airplane, this is something that really helps me out. Obviously, I'm not going to get the most benefit from only wearing them after a long day out, but I have found that they do give me a lot of relief anyway. This week I've been working a lot and standing for most of the day. While I don't necessarily want to wear socks, I do need some support. I put my compression sleeves on under my jeans and I'm golden. You can feel a tingle in your legs as they hit all the important places and keep your blood circulating . Under pants, people can't even tell you're wearing them, though lots of people wear them with shorts while running or doing other exercise. They come in fun colors, so you can totally make them an accessory. They aren't bulky at all and are pretty and useful. Here's another thing: not only do I have bad circulation, but I also have mild arthritis, which is worse when it's rainy and this year it has been rainy. Like, we've had 4 days of no rain in all of April. These compression sleeves give me more coverage and warmth and keep my shins from aching in this neverending Portland winter. When I'm on the plane, I like to wear slip-on shoes. They are comfortable, they keep my feet warm, but not hot, and socks may or may not be helpful. Socks generally can get sweaty and gross, too. These compression sleeves from Zensah (as with their compression socks) are moisture-wicking and odor-resistant, so even if your travel day is really long or turns into several days, you're legs will be perfectly comfortable and they won't smell like you just came from the gym locker room. I find that I have more energy when I wear my compression sleeves, because my legs feel good and not super tired, like when I don't wear them and I've been walking around for hours. Nothing's worse than sightseeing all day and your legs feeling so achy that you don't even want to think about what you have planned for the next day. 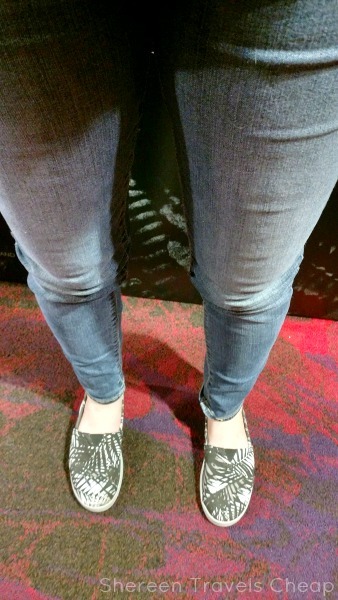 Each day of my Vegas trip was like a new day, because my legs didn't still hurt from the day before. I have my compression sleeves to thank for that. I know the price may seem high for these, but they are really something I've come to rely on and feel like they are worth the price, whether at home or while traveling. If you're prone to swelling, these are a definite must, especially on long flights where blood clots can form easily from your legs staying in the same position for hours at a time. What are your biggest health concerns when traveling? Disclosure: I was provided with a pair of Zensah compression leg sleeves for the purposes of this review. As always, all opinions are 100% my own.